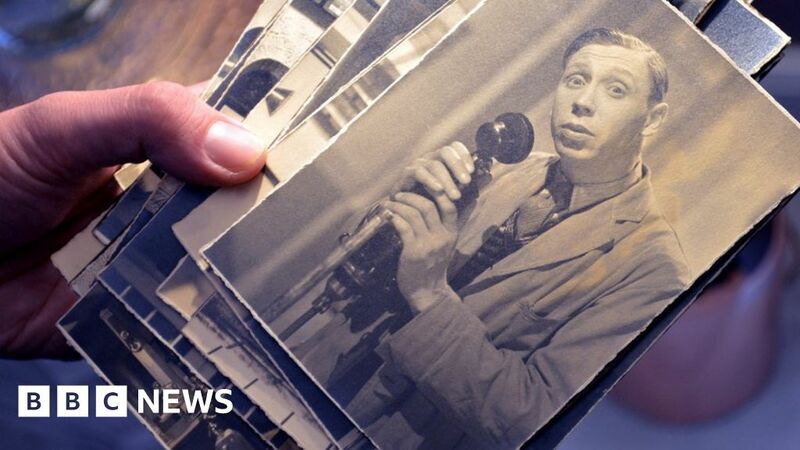 An archive of letters, diaries and photos belonging to film star George Formby and his spouses has been found in a disused office in Preston. Formby was one of the biggest stars of the 1930s and ’40s, and the collection was found in a battered suitcase in a cabinet by an office clearance firm. It includes diaries and passports belonging to his wife Beryl Ingham and fiancee Pat Howson. Scott Felton, who found it, said he was “amazed” when he came across the items. “It was an old office,” he said. “It looked like they’d just upped and left and everything was still there, and we purchased the whole contents. “That’s what we do for a job, so we’re used to this – but never finding anything like that. Formby, known for his chirpy comic persona and ukulele tunes, starred in some of the most popular films of the ’30s and ’40s and was reputedly the best-paid entertainer in Britain. He was married to Beryl from 1924 until her death in 1960. Less than two months later, Formby caused a stir when he got engaged to Pat, the 36-year-old daughter of a family friend. The couple planned to marry the following year, but Formby died from a heart attack in Preston at the age of 56 before they could do so. An estimated 100,000-150,000 people lined the streets of Liverpool to pay their respects when his funeral was held. The suitcase also contains a mounted letter dating from 1939, relaying how members of the royal family had been “completely convulsed with laughter” while watching Formby’s films including It’s in the Air. There are both Beryl and Pat’s passports, photos and negatives of George and Pat together, and of George on film sets, and photos of Beryl as a child, when she was a champion clogdancer. After he died, Formby’s estate was at the centre of a court battle between Pat – who was the main beneficiary of his will – and the star’s mother and three sisters. 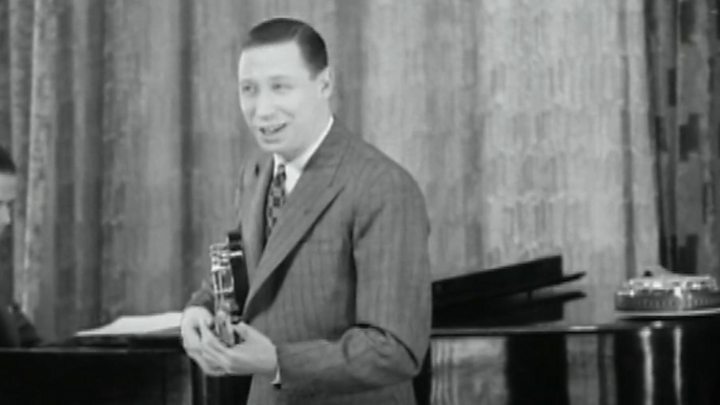 Caroline Stewart, chairwoman of the George Formby Society, said of the find: “Anything that’s got a direct link to George is exciting. In June 1961, Pat sold the contents of George and Beryl’s house in a three-day auction held in a marquee in the grounds. Virtually everything was sold – even his underpants. George and Beryl didn’t have any children, and Pat was childless when she died in 1971 at the age of 46. Mr Felton is now hoping to sell the collection.